It’s been a bit of a draining week at work, lots of people out and chaos. Nothing I can’t handle, but looking forward to the weekend and blowing off steam at the gym has helped. 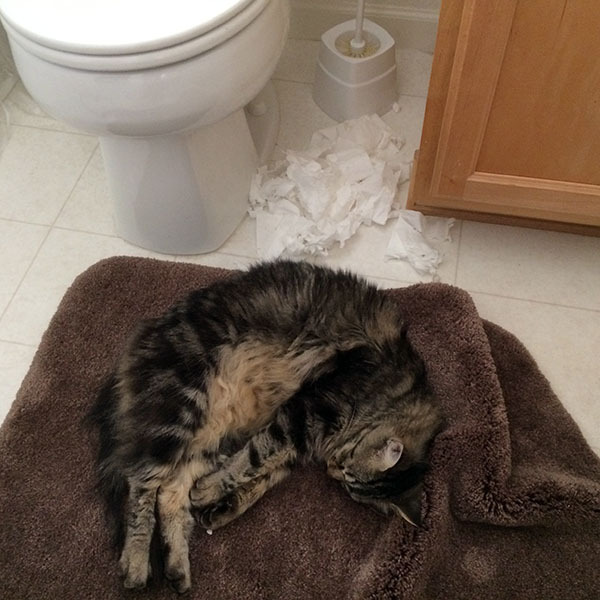 My mom’s cat likes to shred toilet paper rolls and bath mats for a little stress relief. And it’s exhausting apparently. Thankfully our cats have never been into shredding anything other than their catnip scratchy thing. But I am still dealing with an off-and-on cat box issue with Shadow we’re trying to workout. From what I’ve been reading, it may be a byproduct of his recent health issues and bad feelings about the cat box now. Trying Feliway has been recommended to me and I may need to order it soon! Other than that, Shadow is doing good and possibly gaining a little weight. 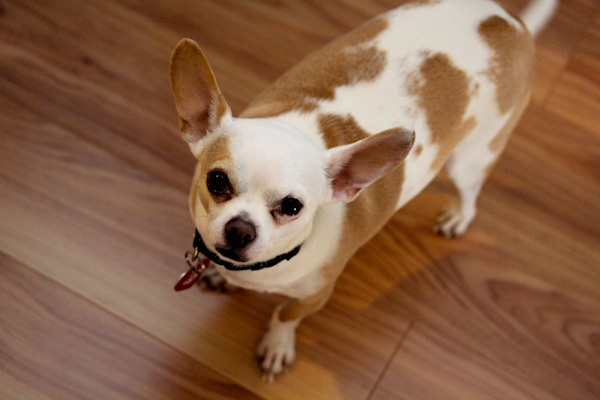 Miko has just been a little sweetheart, always following me and ready for cuddles. And it’s What I Ate Wednesday. 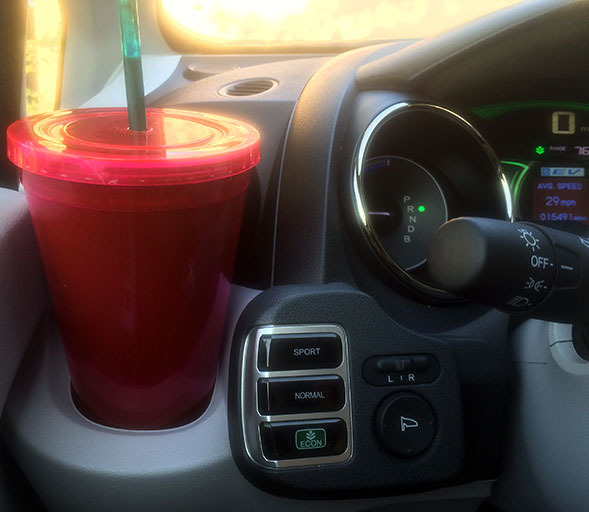 Breakfast was a huge smoothie on the go with frozen banana, cherries, kale, carrots, chia seeds, Vitamineral Green powder, and a serving of Orgain Organic Protein Powder in chocolate fudge flavor. 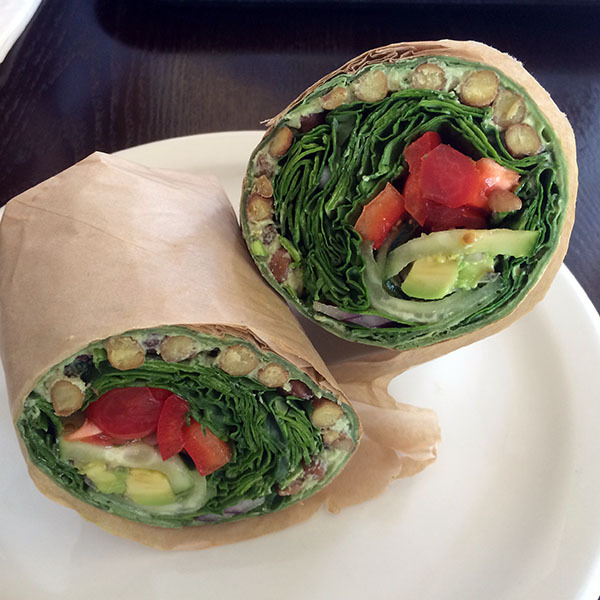 For lunch I met hubby at Baagan for kale chips and the chana wrap, a delicious creation loaded with spicy chickpeas, avocado, and greens. Afternoon snack was an apple that disappeared fast at my desk. 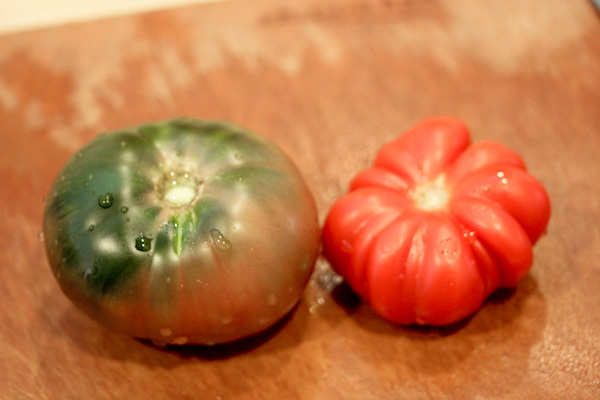 After work I headed to Trader Joe’s to restock the kitchen and was feeling a little flustered when I got home after battling traffic and crowds and opted for a big ol’ salad for dinner using these cute heirloom tomatoes. 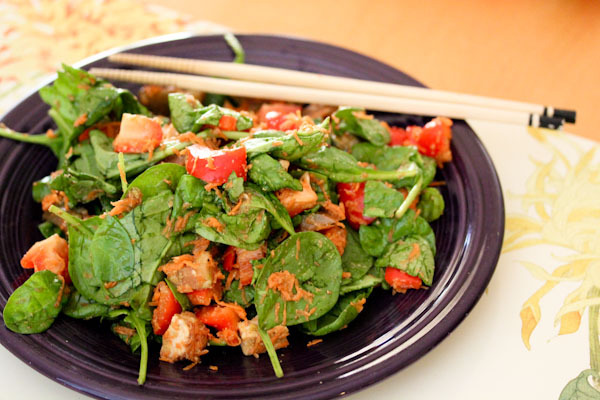 Chopped tempeh, spinach, tomatoes, pepper, and carrots seasoned with balsamic vinegar, nutritional yeast, and Trader Joe’s Everyday seasoning blend. Not too exciting, but I wanted fast and simple after a full day. The cat box thing with Shadow is a new issue for him and we’ve been using special liters and trying other cat boxes hoping to find one he likes better, no luck yet. It’s an off and on problem though, sometimes he has no issue with the cat box.